At Lake Montessori, Leesburg’s best educational experience, we believe that a happy child is one that is challenged, well-rounded, and allowed to thrive at their own pace. We’ve found that students want to learn, experience the world, and be challenged to do difficult things, do so best when they’re within a safe environment and inside the right parameters. Children often thrive when they’re given the tools to do so and at Lake Montessori, we’ve built this idea into our policies and our practices. We believe in equipping students not only with the knowledge they need and the habits they’ll rely on for the rest of their lives, we believe in showing students how fulfilling life can be when it’s well-lived. It is for this reason that our Leesburg educational system is so effective. We don’t force education or experience on anyone; rather, we provide a safe environment and equip students with the tools they need to learn through experience, at their own pace. This is why our extra-curricular activities are so effective; instead of giving children copious amounts of homework and at home expectations that will soon drain them of free time and zap their energy, we provide an attractive alternative. Our extra-curricular programs can give your child that extra bit of one-on-one attention that will help them thrive and prosper, no matter what they’re involved in. Whether your child is interested in music, speech therapy, or you’re considering behavioral or occupational therapy, Lake Montessori has the right program for your child. Your student will be challenged and stimulated, but not to the point of feeling overwhelmed or overloaded. 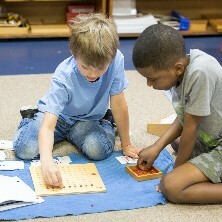 Our instructors are patient and specifically trained in the Montessori Method, ensuring that your child gets the right kind of instruction through our Montessori extra-curricular programs. 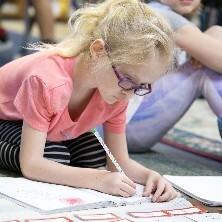 If you’re interested in signing your child up for our Leesburg extra-curricular programs, contact us Lake Montessori today! For More information give us a call at (833) 403-1290.